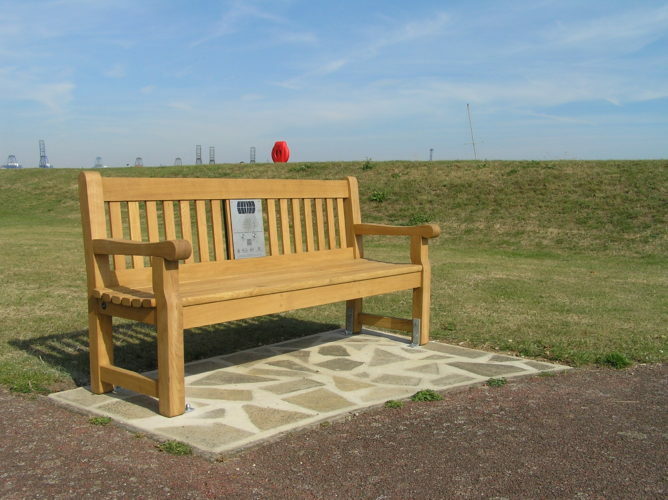 Welcome to the information page for the listening bench installed in Harwich, Essex. Here you can find out more about the clips featured on the bench, which were recorded by the Harwich Society between 2009 and 2013. They highlight some of Harwich’s most significant moments in history, particularly memories of the 1953 flood that affected the town and its residents so severely. The bench is situated on St Helen’s Green, located near the flower bed and looking towards the Treadwheel Crane. This bench was put together by the Harwich Inspired Youth Action group (HIYA) in collaboration with the Essex Record Office and with the support of the Harwich Society, as part of the Heritage Lottery Funded project, You Are Hear: sound and a sense of place. HIYA is an award-winning group of 11-18 year olds who want to change the image of young people in their community, based at Teen Talk Harwich. QR code kindly provided by Visualead.com. Enid Godfrey talks about her brother, who was killed while serving in the Royal Air Force during the Second World War (SA 49/1/2/8/1). Bett Calver describes how she saw a ‘wall of water’ crashing in front of her as she was on her way home the night of the 1953 floods (SA 49/1/2/19/1). Bernie Cummings recounts the rescue of his horses from a flooded stable during the 1953 floods (SA 49/1/2/21/1). Joseph Thomas describes the different mines and minesweepers used in Harwich during the Second World War (SA 49/1/2/15/1). Joseph Thomas recalls how he and his friends used to sneak into the Electric Palace cinema to watch silent movies for free (SA 49/1/2/15/1). June Cummings shares her memories of the night of the 1953 floods (SA 49/1/2/20/1).